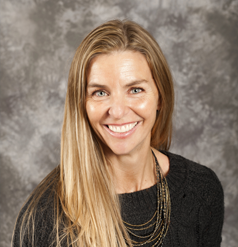 Kristy Jimenez is the Visual and Performing Arts Department Chair and teaches Photography and Animation at PVHS. She graduated with a Bachelors Degree from UCSB in the Arts, has a Fine Arts Teaching Credential and Clear CLAD Certificate from UCI, and a Masters Degree in Educational Technology from Pepperdine University. She has been teaching in the high school Fine Arts and Digital Media Arts, since 1993 and happy to be a Sea Queen at PVHS. The PVHS Visual and Performing Arts Department prides itself in creating and providing interesting and challenging opportunities to prepare students for college, a job, or just a positive well-rounded artistic experience in high school. Digital Animation focuses on developing basic drawing, animation and story telling skills. Students will learn how to develop visual scenes and characters. Students draw in a sketchbook on a daily basis to gain explore their visual voice. They will also explore basic animation skills that make up an animated film. Students will create short visual stories using a variety of software including Adobe Animate, Photoshop, and After Effects. In addition students have the opportunity to work in a 3-D program, to develop modeling and animation skills in a 3-D environment. Throughout the year, students create a portfolio of their work that demonstrates the learned skills over the course of the year. Students will continue to expand their artistic skills by creating well-developed story ideas for music videos, commercials, and stop motion animation. They will continue to draw in a sketchbook on a daily basis. Students focus on character and story development as well as cinematic techniques that help tell a visual story. Students have the choice to begin exploration or to continue in 3-D animation for the year. Students are encouraged to polish their portfolio content to present their work at a National Portfolio Day Review. Students choose a medium to explore in depth to develop a serious and well-developed animation piece. They will continue to draw in a sketchbook on a daily basis. Students are given smaller projects throughout the year to help them expand on their artistic abilities. Students will complete a portfolio that contains observational and digital sketches along with a reel of animated work that prepares them for an art school application and presentation to at least one National Portfolio Day Review.